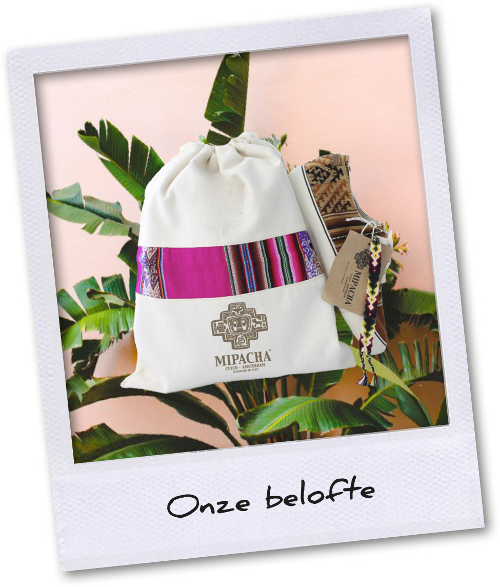 The hand woven bracelets and optional backpacks are made from our residual material. 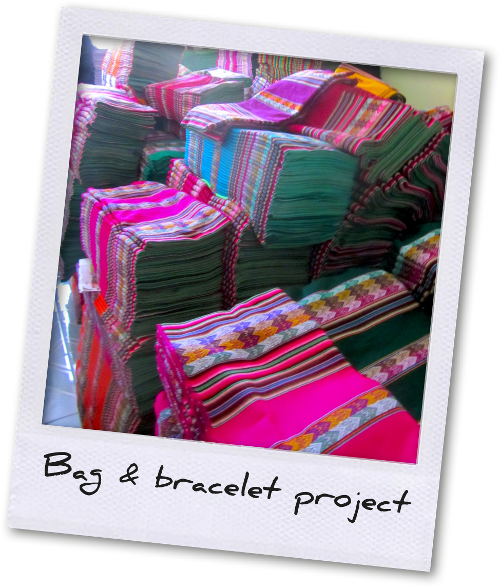 These bags and bracelets are made by local women, situated in the poorer outskirts of Cuzco. MIPACHA has set up a special program where these unemployed women are being trained to become skilled professional artisans. As part of our promise to support the local people, MIPACHA has organised the training programs and provided machines for training and production purposes. 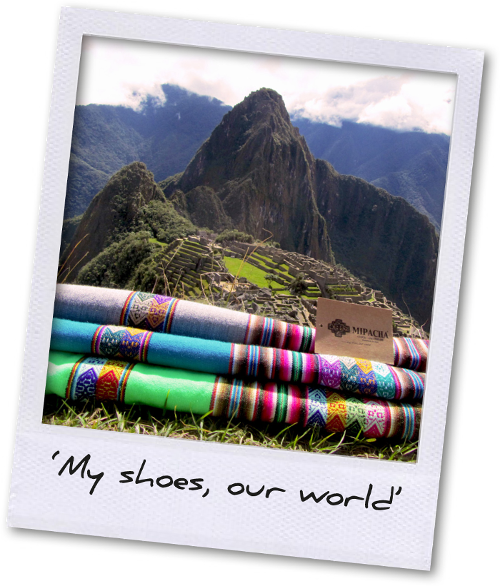 Furthermore, MIPACHA develops and purchases all the bags and bracelets for fair prices and delivers them with the MIPACHA footwear. This means that we not only provide a training environment to develop usefull skills for the unemployed women, but also a sustainable working environment where fair prices are paid for the work and products they deliver.